And to you both too! Hope your holiday is wonderful! May this year bring you peace and joy in your work and a safe trip home! Thanks for your New Year’s wishes. May we extend the same to you & all your family & congratulations on your beautiful new granddaughter, Eliana! Happy New Year over and over, Sue and Tom! 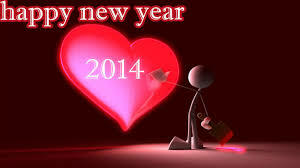 Happy New Year and many blessings throughout 2014! Th good, the not so good and the wonderful will all find places in this year. We are a community and family who share with each other. With prayers for the wind down of your Peace Corps experience, we are ready to welcome you home. Yeah 2014.